This Law shall regulate procedures for creation of non court agencies (hereinafter referred to as “The court of arbitration”) and also regulates its activities for resolution of disputes (hereinafter referred to as “arbitration”). The main principles of arbitration are equality of the parties under the law and the court of arbitration, competition and obligation of execution of the award of the court arbitration. This Law is applied at the agreement of parties for consideration of parties for consideration of the court of arbitration the disputes are referred arising from civil relationships, including investment disputes within the jurisdiction of the competent court, with exclusion of disputes by the present Law. "Arbitration" means process of consideration of the dispute in the procedure provided by the agreement between the parties or applicable rules or by this Law. “Arbitration Agreement" (Arbitration Clause) means agreement between the parties on referral of dispute for consideration by the court of arbitration. “Means Court” means an appropriate court of the Kyrgyz Republic. Parties of arbitration mean “Claimant” and “Defendant”. Claimants mean citizens and organizations, as well as state bodies and local self-governance bodies claiming their interests. Defendants mean citizens and organizations, as well as state bodies and local self-governance bodies, to whom the claims are referred. “Applicable rules” means rules, provisions, regulations and other documents of permanent the court of arbitration. 1. Disputes pursuant to the arbitration agreement or the Law may be referred for consideration by permanent or ad hoc of arbitration. Permanent the court of arbitration is an organization providing an execution of arbitration. Ad hoc the court of arbitration is the court of arbitration which is created by parties for consideration of one specific dispute and terminates its activities upon completion of arbitration on a specific dispute. 2. Permanent the court of arbitration shall be a legal entity that carries out its activities as a non-commercial organization. 1. Procedures for creation and operation of ad hoc the court of arbitration shall be determined by the agreement of parties and in the aspect, non regulated by the agreement, by this Law. 2. Procedures for creation of permanent arbitration shall be determined by the legislation of the Kyrgyz Republic. 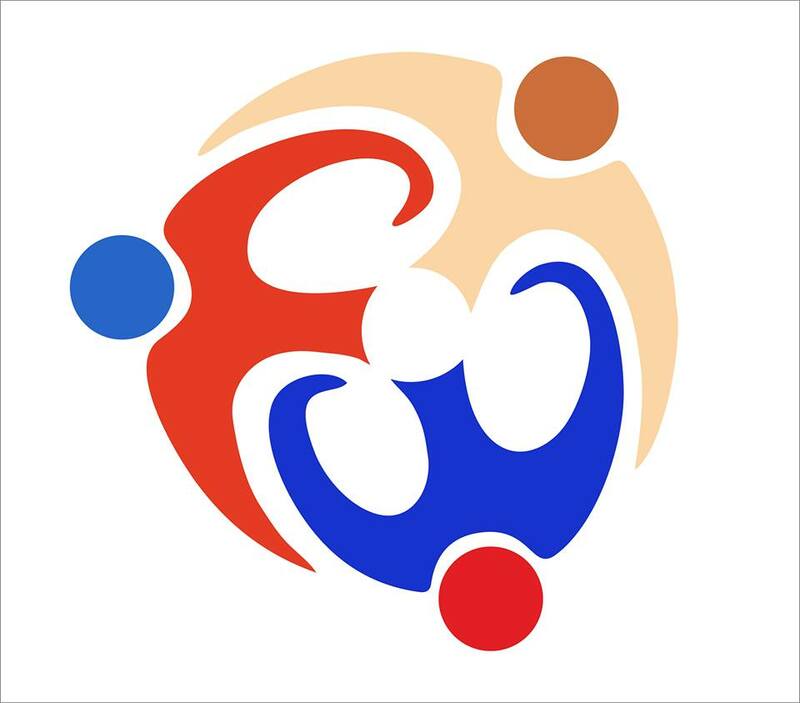 Their activities shall be regulated by applicable rules and in the aspect, not regulated by the appropriate rules, by the Kyrgyz Republic legislation. 3. If an international agreement to which Kyrgyz Republic is a party establishes rules of creation and operation of the courts of arbitration, the rules of the international agreement shall be used. 1. Dispute may be referred to a court of arbitration for consideration and accepted by the latter given such presence of an agreement of the parties to refer the dispute to this the court of arbitration or hereunder the legislation. Dispute, being under consideration by a competent court, might be referred to a the court of arbitration only prior to decision have been made-on the merits or amicable agreement have been reached by the parties. 2. A competent court to a which a claim is referred on a subject of arbitration agreement should be refuse to accept a claim or leave it without consideration or to close the case on finding out the facts confirming presence of the arbitration agreement, including appearance of information about it from either party. 1. The court of arbitration shall fulfil arbitration following rules set forth in the arbitration agreement and in case of absence of such instruction, on the basis of rules selected or established by the court of arbitration itself. 2. The court of arbitration shall consider a dispute pursuant to the norms of law of substance identified by parties in the contract or in the arbitration agreement as applicable to the essence dispute. 3. Should there be no agreement on applicable law, the court of arbitration shall independently define legal norms, which are applicable during consideration of the dispute. 4. The court of arbitration shall make decisions in accordance with applicable law, and in the aspect, not covered by the applicable law, according to business practice. 1. Arbitration agreement may be concluded between the parties to refer for consideration by the court of arbitration all or certain disputes that arose or may arise between them with regard to civil legal relations, regardless of contractual or non contractual nature. An arbitration agreement may be incorporated in the form of an arbitration clause which is an integral part of the contract, or in the form of a separate agreement. 2. The arbitration agreement shall be in writing. An agreement deemed to be in writing if it is contained in a document signed by the parties, or is made by exchange of letters, or communications by teletype, telegraph, fax or other means of telecommunications, including electronic ones, which provide a record of such an agreement. The reference in a contract to a document containing an agreement for transmission of the dispute to a court of arbitration shall be recognised as agreement is in writing and the reference is such as to give basis to consider that agreement part of the contract. 3. The court of arbitration shall have an regulation that any dispute, controversy or requirement, arising between parties out of a dispute, shall be a subject for consideration in the court of arbitration, including name of this the court of arbitration, considering the dispute. The arbitration agreement might contain information on a number of arbitrators, location of arbitration, language of arbitration, applicable law and rules, period of a dispute consideration. 4. In case of inconsistency with the requirement provided for in clause 2 and paragraph 1 of clause 3 of the present Article arbitration agreement shall be considered to be null and void. 1. An arbitrator shall be any capable physical person, properly qualified, able to provide impartial consideration of the dispute and independent from the parties. A sole arbitrator shall have legal qualification. In case of collective consideration of a dispute the chairman shall have legal qualification. 2. Applicable rules may set additional requirements to candidacy of an arbitrator. - Persons recognized incapable or partially incapable. 4. No one individual can be debarred from acting as an arbiter by reason of his citizenship, unless otherwise agreed by parties. 1. Number of arbitrators shall be odd. 2. Nomination of arbitrators of ad hoc court of arbitration shall be made in the order specified by the agreement of the parties. The parties are free to determine the number of arbitrators. If parties fail to determine a number of arbitrators, either party is in right to apply to a permanent court of arbitration that will appoint three arbitrators in the order provided by the present article. c) If either parties does no follow the procedure of nomination agreed by the parties and two arbitrators can not reach the chairman court of arbitration to solve the given matter at his own discretion, including appointment an arbitrator. Decision of the chairman of the permanent court of arbitration will be without appeal. 4. Appointment of arbiters at the permanent court of arbitration shall be carried out in accordance with the procedures set forth in applicable rules of this court of arbitration unless otherwise established by the agreement of parties. 5. When he does not have qualification conditioned by the arbitration agreement or by the present Law. 1. When a person is approached in connection with his possible appointment as an arbitrator, he shall disclose any circumstances being a ground for his challenge. An arbitrator, from the time of his appointment and throughout the arbitration, shall without delay disclose any such circumstances, having appeared during arbitration, and announce his self-challenge. 2. Either party is in right to challenge an arbitrator if the circumstances revealed that might serve as grounds for challenge. Challenge and self-challenge must be grounded and announced before consideration of the case on the merits. In the course of dispute consideration challenge or self-challenge is accepted only in cases, when the grounds for challenge appeared after dispute started to be considered. 3. The parties may upon their discretion agree upon the challenge procedure. Failing such agreement, a party which intends to challenge an arbitrator shall, within 15 days after becoming aware of the formation of the court of arbitration or after becoming aware of any circumstance referred to in article 10 of this law, send a written statement of the reasons for the challenge to the court of panel. If challenged arbitrator does not withdraw himself from his position or the other party does not agree to the challenge, the question of the challenge will be decided by the court of arbitration. If under any procedure of challenge agreed by the parties no decision is taken or other arbitrators failed to reach an agreement on challenge, either party may request the chairman of permanent court of arbitration to take a decision on the challenge. Such a decision is without appeal. When such request waits for the decision taking the court of arbitration l cannot proceed with arbitration and make award. 5. When the dispute is referred for consideration to the permanent court of arbitration, the challenge process shall be carried out in the order established by applicable rules. 1. The powers of an arbitrator participating in arbitration shall be terminated upon expiration of 60 days from the day of taking award. The powers of arbitrator may be also terminated due to his self-challenge, challenge or any other grounds provided by the agreement of the parties. 2. The powers of an arbitrator are not terminated if the competent court refuses to issue the prescript for forced execution of award of the permanent court of arbitration on the grounds, provided by Article 42 of the present Law. Permanent court of arbitration is obliged to ensure at its own expense the new consideration of a dispute with attraction of the same arbitrators, who made award on the dispute. Unless otherwise is provided by the agreement of parties the replacement of arbitrators is subject only to the grounds provided by present Law. Where the mandate of an arbitrator terminates under grounds provided by Article 10 of the present Law or other grounds, a substitute arbitrator shall be appointed according to the rules that were applicable to the appointment of the arbitrators being replaced. Replacement of arbitrator of permanent court of arbitration panel is carried out in line with the applicable rules. 1. The court of arbitration independently takes decision or validity of the arbitration agreement and its own competence for consideration of a specific dispute. 2. Before dispute settlement procedure starts either party should announce any circumstances that may be the basis for declaring the arbitration agreement to be non existent or invalid. Appointment by each party or its participation in appointment of an arbitrator does not deprive a party from making such a statement. 3. A statement on excess by the court of arbitration of its own jurisdiction shall be raised by either party, as soon as during arbitration a question will arise, which to the opinion of a party overlaps this jurisdiction. 4. If the court of arbitration finds the absence or invalidity of arbitration agreement it directs a ruling about it, which is sent to the parties together with the materials from the relevant party. If a party was aware or should have been aware that any provisions of the present Law or arbitration agreement, applied on discretion of the parties, were not observed, and in the established period of time, and if it is not specified – within the reasonable period, did not raise objections against such non observation and continued to participate in arbitration, it will be deprived in future to raise such an objection. 1. In ad hoc court of arbitration the parties may on their discretion determine the procedure of arbitration. If the parties fail to define the procedure, the court of arbitration independently determines it in accordance with the present Law. 2. 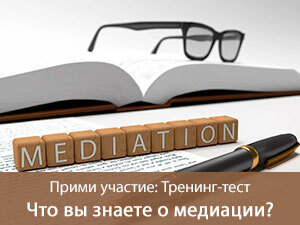 Procedures of arbitration in permanent court of arbitration are implemented according to the applicable rules of this court if not otherwise by agreement of the parties. 1. The parties may on their discretion agree on the place of arbitration. 2. Failing such agreement, the place of arbitration shall be determined by the arbitration having taken into account all circumstances of the case, including factor of convenience for the parties, as well as for hearing of experts, witnesses or the parties, or for inspection of assets or documents. 1. The court of arbitration shall determine the language be used in arbitration unless otherwise agreed by the parties. 2. Party submitting evidence in a language of arbitration, shall provide a translation thereof. 3. The court of arbitration may require from the parties translation of any written evidence into the language of arbitration. 1. The court of arbitration may not disclose information it became aware of in the course of arbitration without prior consent of the parties or their legal successors. 2. An arbitrator may not be examined as a witness of information it became aware of in the course of arbitration. 1. Within the period of time agreed by the parties or determined by the court of arbitration, the claimant shall state this demands in writing, which are failed with the court of arbitration and a copy sent to the defendant, and the later may sent his response in respect of the claim to the claimant and the court of arbitration with enclosed documents supporting the response. 7) List of the documents and other evidence annexed to the statement of claim. 2. Delivery of the copy of the statement of claim with all the documents annexed to defendant. 3. Presenting their statement of claim and response to the claim the parties may add a reference to the documents or other evidence they will submit later. 4. Unless otherwise agreed by the parties, in the course of arbitration either party may amend or supplement its claim demands or response to the claim within the period provided by arbitration agreement or applicable rules. 1. Unless otherwise agreed by the parties defendant is in right to submit a counterclaim as long as it stays within the agreement on transmitting dispute to the court of arbitration. 2. Counterclaim may be submitted together with the statement of response or at a later stage if the court of arbitration considers the reasons for delay in presenting counterclaim justified. 3. Counterclaim shall be presented following the provisions of Article 20 of the present Law. 4. Counterclaim shall be submitted to the court of arbitration and in the copy to the other party except for when it is transferred to the other party by the court of arbitration. 5. Claimant may submit to the court of arbitration a response to counterclaim in writing subject to provisions of Article 20 of the present Law. 1. Unless otherwise agreed by parties the court of arbitration upon request from either party may direct either party to take steps to secure as to the substance of the dispute to the extent needed. 2. The court of arbitration may require the party that so requested, to cover costs related to execution of the steps securing the claim. 1. Evidence shall be presented by the parties. Each party shall prove those circumstances it refers to as to the grounds for its claims and objections. The court of arbitration may, should evidence submitted be insufficient, suggest that the parties to submit additional evidence. 2. The court of arbitration shall directly review all the evidence submitted as to the dispute. 1. Consideration of a dispute may be conducted with involvement of the parties or representatives thereof or without such involvement. Failing an agreement between parties the court of arbitration shall independently take a decision on the procedures of dispute consideration, however, given appropriate application by one of the parties, dispute shall be considered with involvement of the parties or representatives thereof. 2. The parties shall be given sufficient advance notice of any hearing and of any session of the court of arbitration. Notice shall deemed delivered if its delivery is confirmed by receipt, sent via registered mail or otherwise to securing fixation of delivery of the notice. Copies of all statements, documents or other materials supplied to the court of arbitration by one party shall be delivered to the other party. Any expert reports or other documents (their copies) on which the court of arbitration bases its award may be communicated if required by them. 3. Dispute consideration shall be conducted in private unless the parties agreed otherwise. 4. Each party shall be given equal opportunities to state its position and protect its rights and interests. 1. Failure to present required documents, statement of response to the claim and to show up at the session of the court of arbitration by the parties or representatives thereof, duly of the notified of the consideration of the case, shall not preclude dispute consideration unless parties agreed otherwise, if the court of arbitration considers such failure to be unjustified. 2. Failure by defendant to present his response to the claim the court of arbitration may not be treated as an admission of the claimant's demands. 1. Unless otherwise agreed by the parties, the court of arbitration may require expertise for explanation of issues arising in the course of dispute consideration the candidatures of in the area of specific knowledge as well as require either party to submit any documents and other evidence necessary for the expertise. Unless otherwise agreed by the parties the court of arbitration may appoint one or more specialists and (or) experts. 2. Unless otherwise agreed by the parties the candidatures of a specialist and an expert (experts) as well as specified questions explanation under expertise shall be determined by the court of arbitration with regard to opinion of the parties. 4. Unless otherwise agreed by the parties, an expert if a party so requests or if the court of arbitration considers it necessary, the expert shall, after delivery of his written report, participate in dispute consideration where the parties and the court of arbitration era given opportunity to put questions, connected with conduct of expertise and delivered report. An arbitration award shall be final and without appeal. Parties oblige themselves to carry out the decision taken by the court of arbitration in an order and periods established by the award. 1. Arbitration award shall be taken with regard to all of the circumstances of the case by a majority of the arbitrators unless otherwise provided by the applicable laws or agreed by the parties. Award is based upon complete and objective consideration of all circumstances. Award shall be made on behalf of the court of arbitration and shall be announced at its session. The court of arbitration may announce only the substantive part of the award unless otherwise is agreed by the parties. In such case motivated award shall be sent to the parties within 5 days after the moment of announcement of the substantive part of the award. An arbitrator who disagrees with the majority of the court of arbitration members may state his specific opinion as an annex to the award. Parties may acquaint themselves with specific opinion of the arbitrator. 2. The court of arbitration may postpone decision-making and call parties to additional session should it be considered to be necessary for dispute settlement. 3. Arbitration award shall be deemed to have been taken at that place arbitration and one the day, when it was announced by the court of arbitration. If prior to the announcement of the award on the merits of dispute by the court of arbitration the parties achieved an amicable arrangement on dispute resolution and the court of arbitration shall make an award, with regard approves such amicable arrangement on conditions agreed by the parties. Simultaneously with making decision an approving the amicable agreement the court of arbitration directs a ruling on termination of arbitration. 1. The award shall be made in writing and shall be signed by all the members of the court of arbitration. 1. Within 30 days after the award has been made either party with prior notice to other party may request the court of to make an additional award as to demands presented in the course of arbitration but not reflected in the award. 2. The court of arbitration shall notify the parties on consideration of a request indicating the dates and the place of arbitration proceeding. Failure to appear by a party or parties is not an impediment for a case consideration and an additional award taking. 3. Request for supplementary award shall be considered within 30 days after receipt of the request for consideration. 1. Either party with prior notice of another party within 30 days after taking of award by the court of arbitration may request the court of arbitration to interpret any specific item or part of the award. 2. Interpretation of award is admissible, unless it is executed and the date is expired within which it might be enforced. Question of award interpretation is considered at the session of the court of arbitration with involvement of parties but their failure to appear is not an impediment for the consideration of the question on award in interpretation. Article 34. Correction of slips, misprints and computational errors. 1. The court of arbitration within 30 days aftermay upon request from a party with notice of another party or upon its own initiative correct mistakes, misprints and errors made in the award taken. 2. Question of correction of award is considered at the session of the court of arbitration with participation of parties however their failure to appear is not an impediment for consideration the issue award. Upon the resolution of a dispute in the merits the court of arbitration shall make an award. The award of the court of arbitration shall be legal and justified. Upon the issues other than merits of the dispute the court of arbitration shall direct a ruling which shall be reasoned. Acts of ad hoc court of arbitration shall be notarially certified by verifying the identity of an arbitrator’s (arbitrators’) signature. 4) conclusion by the parties of amicable agreement. Minutes of the cases by ad hoc court of arbitration are deposited by the court to the state in a procedure established by the Kyrgyz Republic Law «On National Archive “On National Archive Fund of the Kyrgyz Republic”. Minutes of the cases considered by permanent court of arbitration shall be stored in this court of arbitration unless otherwise by the applicable rules. - other expenses with regard to a dispute consideration. 3. Amount of fee to the arbitrators of ad hoc arbitration court shall be determined by agreement of parties. 4. The court of arbitration may not charge any fees for correcting an award made by the court, interpretation of award, making additional award or the repeated consideration of a dispute. 1. The court of arbitration after its formation is in right to require from each party to make payments of equal sums as advance to cover the costs provided with Article 38 of the present Law. If the advance required is not paid fully within 30 days upon receipt of the request thereof, the court of arbitration notifies about either parties in order to pay for it by one of the parties. When advance is not paid by parties in size and conditions specified, The court of arbitration is in right to refuse in consideration of a case or to suspend it. 2. The court of arbitration shall on its own discretion decide the issue of sharing arbitration costs pro rata their claims, unless otherwise agreed between the parties. 1. Sharing arbitration costs shall be specified in an arbitration award or decision. Provisions on arbitration costs sharing between the parties are the integral part of arbitration award and are liable to indispensable execution. 1. Arbitration award shall be the subject for voluntary execution pursuant to procedures and terms set forth in the award. Should there be no deadline stated in the award, it shall be the subject for immediate execution. 2. When the arbitration award is not executed voluntary it is subject for forced execution. 1. Forced execution of The court of arbitration l award is carried out by issuance by the authorised court of the order for the forced execution of the The court of arbitration award. 2. The party concerned in the award shall file request on issuance of the order with the authorised court at his or the debtor’s residency. 3. The request on issuance of the order for the forced execution may be given within three years upon the arbitration award made. Award taken by international and foreign The court of arbitration shall be legalized pursuant to procedure established by the Kyrgyz Republic legislation. Text of award, agreement on transferring of a dispute for consideration by The court of arbitration is provided with in state or official language of the Kyrgyz Republic. Translation of a text from foreign language shall be notarized with a translator’s signature. 4. The award deals with a dispute not contemplated by or not falling within the terms of the submission to arbitration, or it contains decisions on matters beyond the scope of the submission to arbitration, provided that, if the decisions on matters submitted to arbitration can be separated from those not so submitted, that part of the award which contains decisions on matters submitted to arbitration may be recognised and enforced. When refusal to issue an order on forced execution is accepted on the grounds set forth in Articles 2, 3 and 4 of section 1 of the hereby Article the The court of arbitration having made an award on pursuant to which it refused to issue an order, is obliged to conduct a new arbitral proceeding. 1. Authorized court is in right to renew the terms for application on issue of order for the forced execution of arbitration award if finds the reasons for expiration of dates set forth in clause 3 of Article 40 of the hereby Law valid. 2. Procedure of renewal of dates is established by the Kyrgyz Republic legislation unless otherwise established by the international treaties and agreements. 1. Application on issue of order for the forced execution of arbitration award shall be considered on a procedure established by the Kyrgyz Republic legislation. 2. Parties shall be rightly notified on a date and place of consideration of application but default in appearance by one of the parties is not an impediment for the application consideration. 3. Party failing to execute the arbitration award voluntary is in right to submit the authorised court his explanations with reasons that impede the execution of the arbitration award. 4. On the results of application consideration the authorised court shall arbitrate determination either on issuance of order or refusal on its issuance. The authorised court’s determination may be appealed on a procedure established by the Kyrgyz Republic legislation. 1. Unless otherwise stated in the agreement of parties or the law the provisions of the hereby Law shall be applied when the disputes in which one or more parties are citizens, are transmitted to arbitration. · Other disputes impossible to be transmitted to Arbitration for settlement in accordance with the law. Should there be no arbitration agreement between a foreign investor and the Kyrgyz Republic a foreign investor shall initiate the arbitral proceeding for the dispute consideration and herein the consent of the Kyrgyz Republic is assumed. In this case a foreign investor is in right to select for the dispute consideration any agency set forth in Article 23 of the Kyrgyz Republic Law “On Foreign Investments”. Party representing the Kyrgyz Republic in the investment dispute shall be identified by the juridical bodies upon the receipt of the summons served from the foreign investor. The Kyrgyz Republic’s consent for transferring the dispute to the arbitration panel shall be send by the juridical bodies after consultations with the corresponding state or other agencies within 90 days upon the receipt of the summons served. Within the same period of time the juridical bodies may recommend foreign investor or give conclusions or ways for resolution of a dispute in a written form. In case the foreign investor fails to carry a motion of the juridical bodies or within the established time period there were no any other proposals he/she may transfer the dispute without delay for consideration by The court of arbitration without notifying in writing the respondent representing the Kyrgyz Republic and it is believed that the Kyrgyz Republic consents for transferring the dispute to the The court of arbitration. In case when by the applicable laws of agencies set forth in section 1 of this Article it is provided to obtain a consent of the Kyrgyz Republic for participation in arbitral proceeding such a consent on behalf of the Kyrgyz republic is presented by the juridical bodies within 7 (seven) days upon receipt of enquiry from the foreign investor. This law comes into effect once published officially.